What does it say about the brain that three of the first five American presidents died on the Fourth of July? What do schizophrenia, poetry, and corny jokes tell us about how we all learn? What discussion about the nature of thought might logically tie together topics as diverse as financial trading, Middle East politics, and avian intelligence operatives? How can we know something and not know it at the same time? How do we retain and memorize information? Can it be improved? 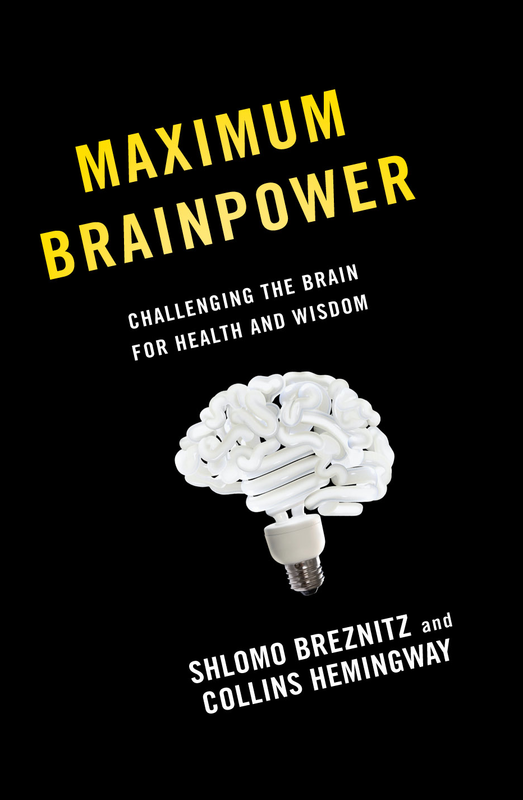 Welcome to the wonderful world of the brain and welcome to Maximum Brainpower: Challenging the Brain for Health and Wisdom, a book that seeks to answer all of these questions, and many more besides. Brainpower is our ability to gather the many aspects of our intelligence and apply them in practical ways. By maximizing our brainpower, we can keep our brains sharp and cognitively fit, especially—but not only—as we age. This is not about doing better on brain teasers or brain exercises. Nor is it about being able to do crossword puzzles in ink instead of pencil or solving logic problems or puzzles. It’s about becoming more capable in our daily lives: being able to accurately assess and navigate the world, knowing what to pay attention to and what not to, thinking and planning ahead, and making the right decisions. It is about changing the inherent way we perceive and respond to the world. Most of us recognize that a fit brain is probably the most important contributor to a long, healthy, and active life. And, as a result, most of us fear Alzheimer’s disease, stroke, and other ailments that might break down or damage our brains. Many adults have borne witness to the failing mental health of their parents, and Baby Boomers are beginning to stumble through their own “senior moments.” Yet relatively little in-depth, scientifically accurate, and easy- to- understand information on brain training and cognitive fitness is available to the general reader. This book intends to provide it. Because our minds are the core of our existence, understanding the brain may be the most important and fundamental task before us. I have spent my professional career as a psychologist and professor studying many aspects of thought and behavior. And for a decade I have researched cognitive fitness; work that culminated in my founding of CogniFit, a company devoted to improving cognitive vitality in a substantive way. After many years, the concept of improving and protecting our mental capabilities has begun to enter into the mainstream—though sometimes it has been explained or promoted superficially. 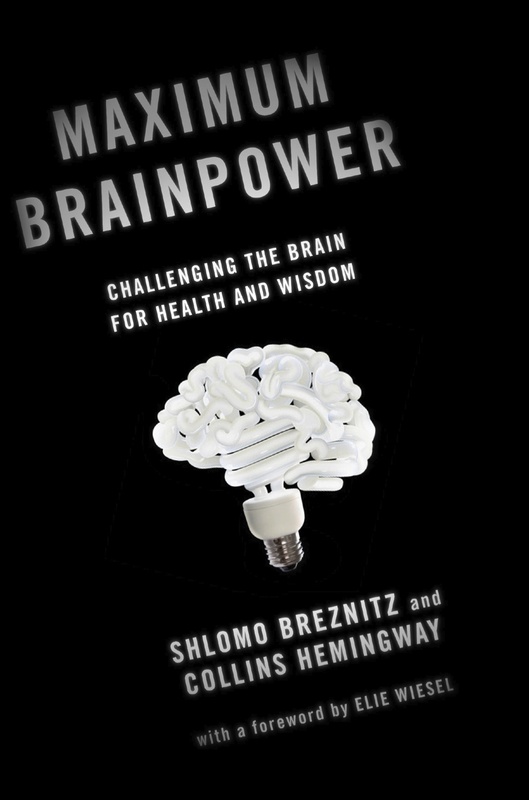 Maximum Brainpower brings to the thoughtful person the most up-to-date knowledge of the brain and its functions. It shows us how we can all achieve the cognitive vitality to improve our personal and professional lives. Filled with pragmatic examples and scenarios, Maximum Brainpower addresses the major issues that we face in our daily lives: problems of personal growth, family relationships, and important social and cultural matters. This book also exposes the inherent dangers of a brain that at times is too quick to change its mind and at other times cannot seem to change at all. Maximum Brainpower in the Real World uses many examples from the real world to show how cognitive fitness is important in unexpected, subtle, and critical ways. We focus on the role that experience plays in learning, and how it can set us up for cognitive failure. The very mental abilities that provide our creativity can also lead to rigidity of thought and cognitive stagnation. The Case for Heavy Mental Lifting demonstrates the importance of challenging our brains. Doing so helps us develop and maintain cognitive fitness, with benefits accruing biologically and psychologically. Included are strategies for building cognitive reserves at any age and how these reserves can benefit us. Change as a Pathogen addresses the basic quandary of mental fitness. We need change to stimulate the brain; but change causes stress, which brings its own kinds of harm. Stress can damage our mental and physical health; but a lack of stress will lead us into cognitive rigidity and decline. These chapters describe the complex interactions of stress on our psyches and our bodies and methods for reducing the negative impact. What to Do explores the ways in which we can develop our cognitive reserves without being overwhelmed by stress. Spanning our careers, education, and personal lives, the chapters in this section show the need for new approaches to get us outside the comfort zone of routine life: new ways to view the world, new approaches to thinking, and a consistent regimen to build the brain. Looking Ahead envisions the way the world will look if we all fully develop cognitive fitness. The chapters in this section also examine how we can ensure that cognitively fit people develop the personal and social connections necessary to stay grounded in an increasingly chaotic society. Maximum Brainpower is for anyone who is genuinely curious about the world in which we live, who enjoys introspection, and who longs for a greater understanding of their own, interior world. And brain health is important to all audiences of any age. Young people can improve their studying skills, driving skills, and their ability to handle risky situations. The elderly can recover mental capacity. People who have survived physical brain trauma can substantively recover their mental and physical abilities. Businesses can improve their employees’ performance by developing an understanding of how the brain learns and adapts—and how business routines literally map the mind into uncreative patterns. Who we are, after all, is a manifestation of our brain activity. We are our cognitive life: our perceptions, our thoughts and memories, our personalities. Maximum Brainpower undertakes an exploration of the private mental world that is, in poetic terms, the seat of our hearts and souls. This book explores the place where our humanness and our humanity both reside. Dr. Breznitz & Collins Hemingway latest book on brain fitness and cognitive health.